[Company name] recognises that diversity and inclusion help to support creativity and innovation: they are an essential ingredient in a successful television company. We are committed to encouraging diversity and inclusion and to ensuring there is no discrimination in our company. We want our workforce to be truly representative of all sections of society. We want our company to be one in which every employee and freelancer feels respected and able to give of their best. This policy applies to employed and freelance staff and to people working on and off screen. All freelancers and employees, whether part-time, full-time or temporary, will be treated fairly and with respect. Selection for employment ? whether as a member of staff or on a freelance basis ? will be on the basis of aptitude and ability. Access to opportunities for promotion, training or any other benefit will also be on the basis of aptitude and ability. All employees will be encouraged to develop their full potential and the talents and resources of the workforce will be fully utilised to maximise the creativity and success of the company.
? 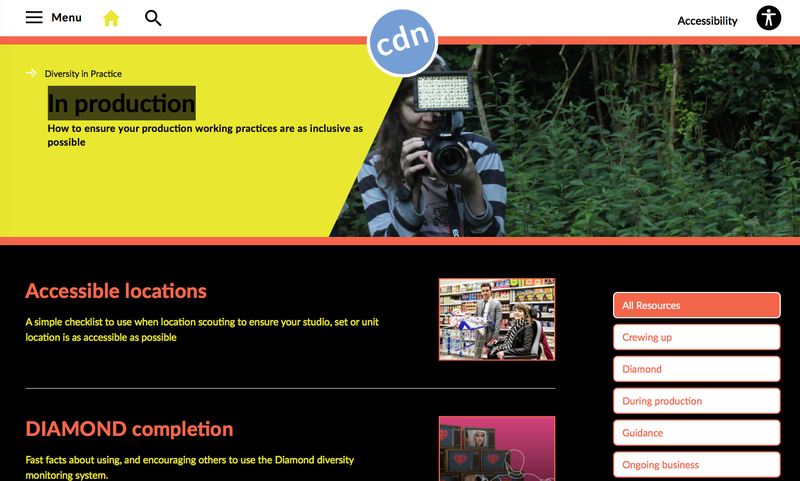 Actively seek to increase the number of people we work with who are from groups/communities that are under-represented in the television industry as a whole, or in particular job roles in the industry.
? Review all our formal and informal employment/hiring practices and procedures to ensure they are fair and help us to identify the best talent.
? Identify and take opportunities to increase the diversity of casting decisions.
? Ensure reasonable adjustments are made to enable disabled people to work in or with our company, both on and off screen.
? Actively seek to increase the diversity of our talent networks.
? Create an environment in which individual differences and the contributions of all our staff and freelancers are recognised and valued.
? Ensure every employee and freelancer is able to work in an environment that promotes dignity and respect for all. We will not tolerate any form of intimidation, bullying or harassment.
? Ensure training, development and progression opportunities are available to all staff. We have set ourselves the following diversity targets/goals [delete as applicable]. We will ? [if you have set diversity targets and/or goals, add them here. If you are setting specific goals or targets it is good practice to set timescales for achieving them]. We will monitor the success of this policy regularly and our review our progress at least once a year. We have developed an action plan to help us implement this policy/achieve our specific diversity goals/targets [delete as applicable]. The person who is responsible for ensuring this action plan is implemented is [insert name]. This policy is fully supported by the senior management of the company. Breaches of the policy may be regarded as misconduct and could lead to disciplinary proceedings.